A selection of images featuring some of the mining, logging, and industrial history of the Western US. 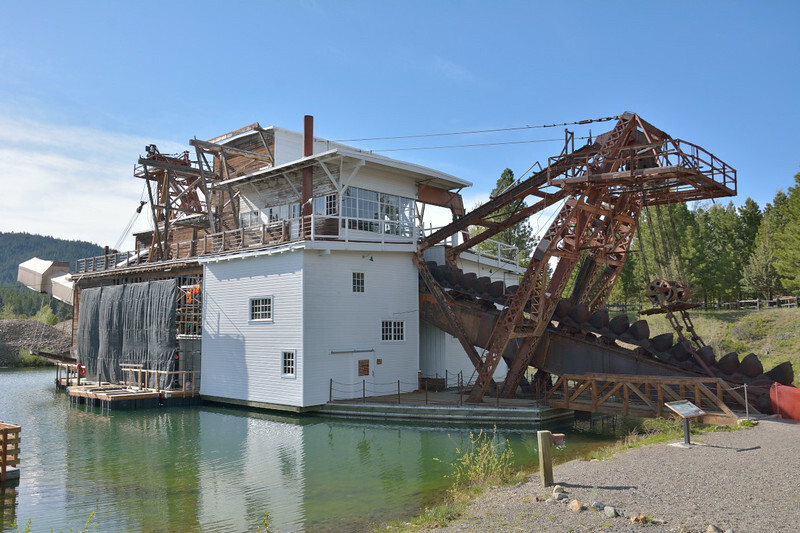 Built in 1935, the last of three built on the Powder River. The dredge worked a series of buckets into the riverbank and returned the loose rock back onto the dredge for processing. The gold was separated from the sediment using a series of sieves. By the time it was withdrawn in1954 it is reckoned to have mined more than $4million dollars of gold from the area.